Tier 1 Engineering recently flew a modified Robinson R44 a distance of 30 nm at speed to 80 knots and an altitude of 800 feet. 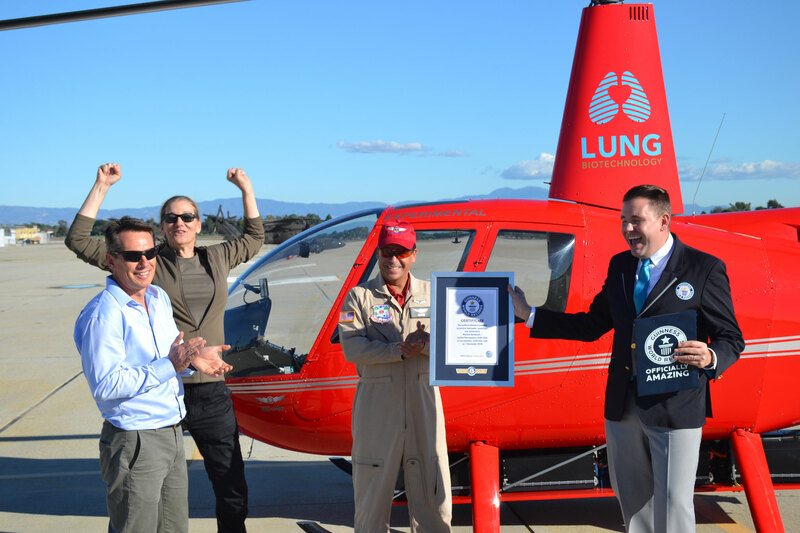 Tier 1 Engineering set the Guinness World Record for the farthest distance travelled by an all-electric helicopter, flying a modified Robinson R44 a distance of 30 nm at speed to 80 knots and an altitude of 800 feet on December 7. The helicopter was flown by Ric Webb of OC Helicopters under a special airworthiness certificate in the experimental category issued by FAA’s Los Angeles manufacturing inspection district office. The flight originated from the Los Alamitos Army Airfield. Tier 1 is under contract from Lung Biotechnology PBC to produce an electrically powered, semi-autonomous rotorcraft for human organ delivery. The highly modified, all-electric R44 is powered by 1,100 pounds of Brammo lithium polymer batteries, twin electric motors, and a control system from Rinehart Motion Systems. The helicopter first flew in 2016. Tier 1’s is not the first electric helicopter project. In 2011 France’s Solution F achieved a two-minute flight in a manned ultralight untethered electric helicopter. The flight was piloted by Pascal Chretien, an aerospace engineer from the firm. In 2010, Sikorsky unveiled the Firefly project, a modified Sikorsky-Schweizer S-300C fitted with a U.S. Hybrid Technologies electric motor and two lithium-ion battery packs, capable of flying for 12 to 15 minutes.